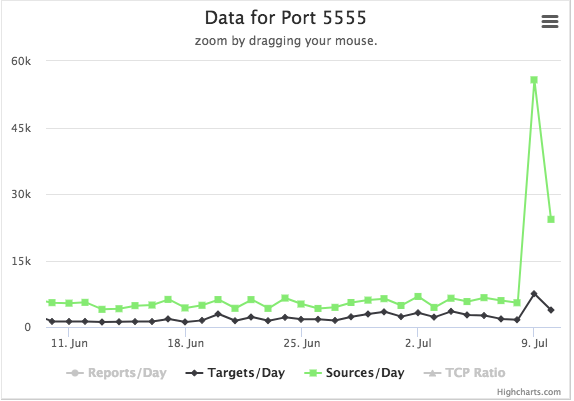 Today, I noticed a marked increase in port 5555 scans. Note that our honeypot has a web server listening on this port, so it is not going to respond to this sequence. As it turns out, this command is directed at the Android Debug Bridge, an optional feature in the Android operating system. Recently, researchers discovered that this feature appears to be enabled on some Android phones . The feature does allow for full shell access to the phone, and the above command may be executed. n="arm.bot.le mips.bot.be mipsel.bot.le arm7.bot.le x86_64.bot.le i586.bot.le i686.bot.le"
Which then downloads the actual "worm" for various platforms and attempts to run them. A quick analysis of the file via virus total suggests that this is a Mirai variant . Shortly after I downloaded the first binary, the web server became unresponsive. I am not sure if this is due to high load, or due to the ISP taking down the site. Virustotal has seen related binaries from this host since at least June. Christian Dietrich uploaded a similar binary on June 21st that was received via the more "traditional" telnet attack Mirai uses . 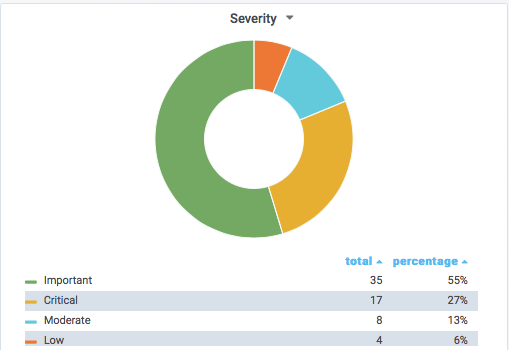 As usual for Apple patches, vulnerabilities tend to affect all/most Apple operating systems. One notable security issue that was addressed, but is not listed here, is the "USB accessory unlock" issue. This allowed systems like Greylock to unlock phones by brute forcing the passcode via the lightning port / USB. iOS 11.4.1 only allows USB devices to connect within 1 hour after the phone/tablet is locked. This is enabled by default but can be disabled by the user. OS X also fixes the latest versions of Spectre.